Includes Nut and Bolt terminals and the hardware to attach your cables. This state-of-the-art lead-acid battery is sealed and maintenance free and the electrolyte is fixed in absorptive fiberglass mat. The advantage of this superior design is that the battery needs no water additions, can be operated in any position, and can be used in close proximity to people and sensitive equipment. Additional benefits: maintenance-free, sealed no-leak design, higher cranking amps, lower self-discharge, greater vibration resistance, heavy duty, no-corrosion terminals. Commonly used for Power Wheel Chairs, UPS (Battery backup), security systems, lighting systems and many other applications, this battery will provide years of service at an unbeatable price. 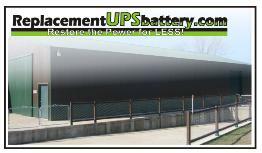 This battery includes a 1 year manufacturers warranty. Dimensions: 7.68"(L) X 5.16" (W) X 6.14" (H). our competitors by shipping an inferior brand. 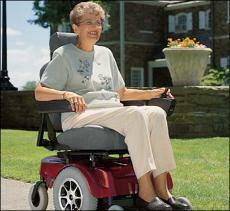 most popular size battery for power wheelchairs. *versus a comparable 31 amp hour battery.